How many times has it happened? Maybe it was your mother-in-law or your boss, or maybe it was your girlfriend or wife, or maybe it has happened with all of them at different times. You devoted time and consideration to find her just the right gift. You wandered from store to store until you found what seemed like just the right thing. And then? When she opened it you knew it wasn't right. Sure, she was nice about it. She said, "Oh. Um. This! Yay!" and pretended to like it. But you knew. You saw the subtle downturn of her mouth and the narrowing of her eyes when she first saw the gift. She didn't like it. More than that, you could tell she would never use it or wear it or carry it around with her. Some women are simply hard to buy for. They have strict standards. They know what they like, and more importantly, what they don't like, and they don't want to represent themselves falsely around town by using or wearing something that doesn't communicate those standards. No, for the woman who really cares about her reputation, you'll have to up your game and find her some modern designer products. You'll have to take risks and spring for things you haven't seen anyone else with but you suspect she'll like. Sounds tricky? Fear not we're here to help. Read on for our gift ideas for the hard-to-please woman! As Hamlet said with derision to Ophelia, "God gave you one face and for yourself you paint another!" If he had said this to the hard-to-please woman in your life, she would have laughed in his face and quipped, "That's right, and look how much I improve upon God's work with my paint!" Presenting a polished self to the world literally means the world to this woman. She'll hardly look at herself without makeup on, let alone allow anyone else do so. And that spells gift opportunities for you. Believe it or not, there are makeup-of-the-month clubs. 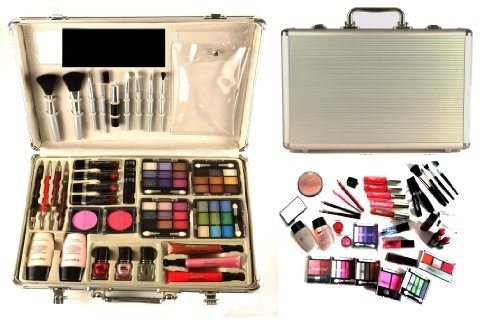 They feature high-quality cosmetics and can be customized to specific skin shading and features sets. If that sounds too risky, you can always get her a gift card to the cosmetics department at her local high-end department store. It can be exhausting managing that reputation, tending to those high standards at every turn, and putting forth her polished self all the live long day. Whew! The hard-to-buy-for-woman in your life probably needs to unwind at the end of the day with a glass of wine or two! Good thing, since that opens up several gift opportunities for you. Obviously, her standards extend to her wine, so no Two-Buck-Chuck for her. Instead, you can buy her a wine-of-the-month subscription. 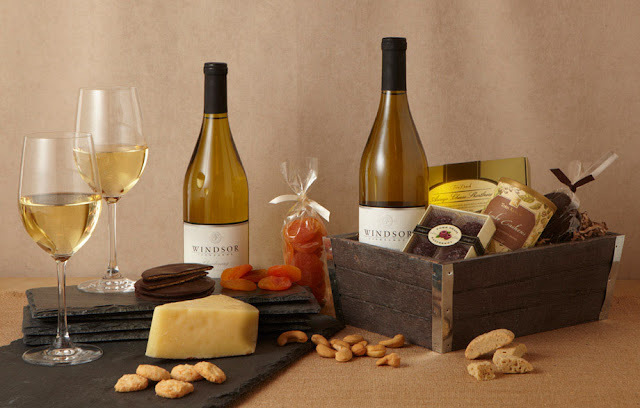 The carefully selected wines she receives each month will prove a fun addition to her wine routine. Of course, she can't drink wine without proper glasses. To that end, buy some fine stemware. If you want to make it more personal, have the glasses etched with sayings you know she'll enjoy reading as she unwinds. Those standards of hers, well they apply to everything, don't they? Not only does she have an excruciatingly specific dress-code (never again will you try buying her a scarf), everything around her home must have its proper place. You found this out the hard way that one time you took a book down from her bookcase and left it on the coffee table. What a tongue-lashing that was! So, why not buy her some stuff for her stuff. Let us explain. The hyper-organizer in your life loves the tools of organization. While you and I might only see a shoe caddy, a closet organizer, or an empty plastic crate, she sees possibility, a world of ever-increasing order to help her ward off that arch nemesis of every hard-to-please woman - clutter. Yes, the hard-to-please woman in your life is, go figure, hard to please. We feel your pain, and we think the above suggestions will give you a fighting chance of finding a gift she'll deem acceptable.